Silver cars are run of the mill and silver watches are timeless, but silver clothes? Silver clothes are little bit trickier. The reflecive hue—tone? shade? 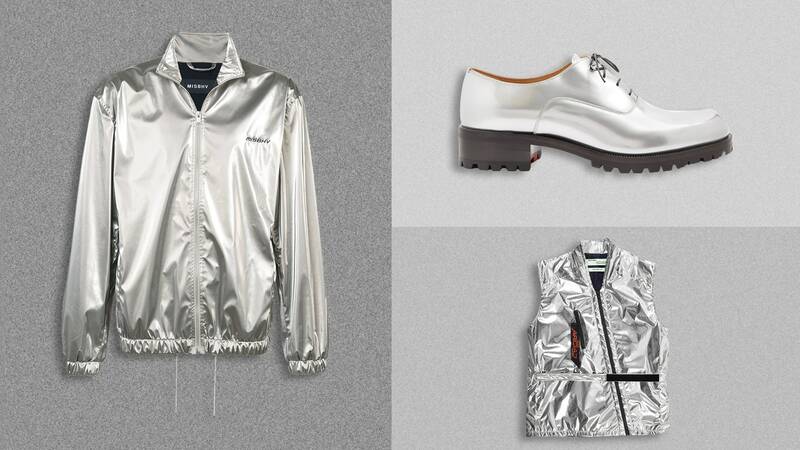 texutre?—brings midcentury NASA vibes to mind, and since the late '90s, silver gear has been tough to detach from over-the-top Zoolander-esque fashion. Today, however, silver is staging its return to the menswear atmosphere. Retro items like Helmut Lang's re-issued astro parka (sort of like that nutty Zoolander vibe, only extremely cool) and Off-White's "Space Cowboy" vest have brought the interplanetary vibes back. Meanwhile, labels like Acne Studios, Alyx, and Supreme are giving silver its streetwear cred. The key to pulling the look off is to start slow: think bags, not coats, and work your way up to Silver Surfer status. Here are 10 silver items worth picking up right now.